SSL mechanical engineering is distinguished not only by its creativity and innovation, but also by its coherence. The same SSL engineers carry a mission through its entire lifetime, from early concepting through prototyping, testing, assembly, launch, and data collection. Other organizations often pigeonhole engineers into limited areas of expertise, but SSL mechanical engineers draft, build, and test their own designs, rather than passing a design from one department to another. It’s a volume-limiting step, but it gives our engineers unique insight into our hardware. Even after a mission has been flying for months or years, SSL mechanical engineers remain involved. They troubleshoot if anything doesn’t function as expected, figuring out ways to solve problems remotely. They also consult when a mission takes on new objectives, re-running thermal models in cases when a spacecraft successfully completes its primary mission and is sent into a new orbit they didn’t design for originally. SSL mechanical engineers truly shine when they do what many might consider the impossible, like placing antennas in the solar corona without the protection of a heat shield. Our engineers proved through careful testing that the electrical FIELDS antennas for the Parker Solar Probe would only be able to collect the necessary data if exposed to the full force of the solar wind in the corona; they could not be hidden behind a heat shield. Then SSL engineers were able to design antennas that could survive those punishing conditions, closer to the sun than any spacecraft has flown before. 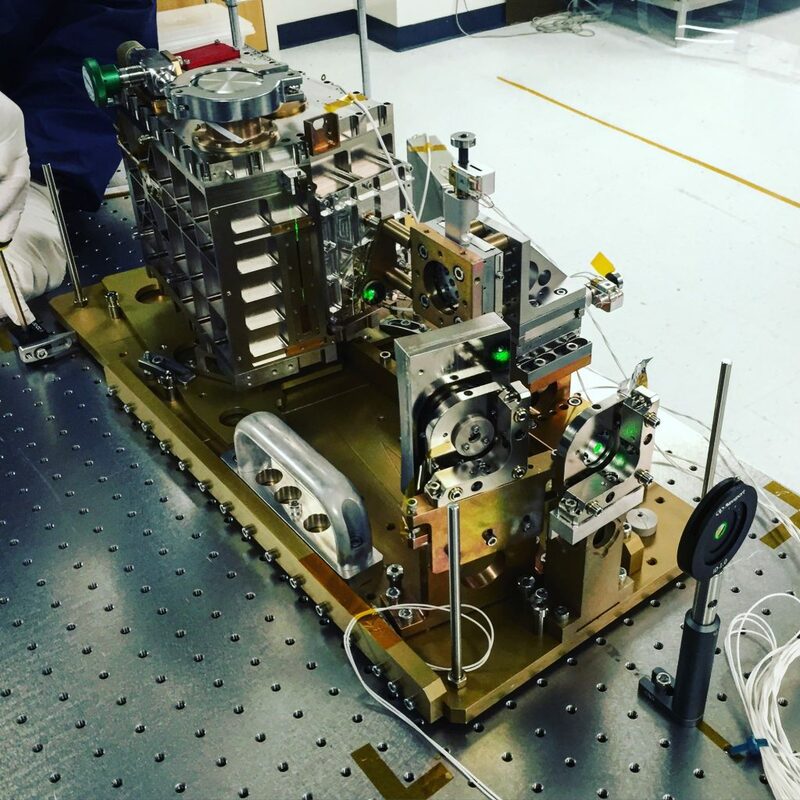 This is the ICON EUV instrument undergoing optical alignment.